Pacific Yurts was founded in 1978 by Alan Bair who was inspired to build the structures after reading about them in National Geographic. The Pacific Yurts brand yurts were first constructed in an old dairy barn in Cottage Grove Oregon until 1980 when they moved to an old skating rink building. In 1993 they moved to their current location in Cottage Grove. 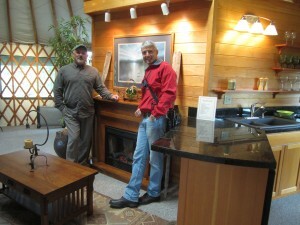 In 1994 the Oregon Parks and Recreation Department began purchasing yurts from the company and that launched Pacific Yurts as the industry leader, a position they are still currently holding.